Were you ever sapped of all your energy by the blistering heat of summer? Have you ever looked to retreat into a verdant landscape and rejuvenate yourself when bogged down by the dry and arid summer landscape? Well then Janakikad is the destination where you can unwind yourself. 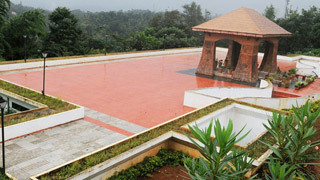 Situated in the Maronthongara Panchayat, 7 km from Kuttiyadi, Janakikad comes under the Kuttiyadi range of Kozhikode forest division. Janakikad gets its name from the renowned statesman V. K Krishna Menon’s sister, V. K Janaki Amma, to whom this 131 hectare land once belonged. 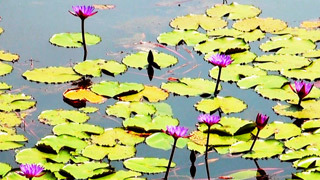 The Janakikad Ecotourism project is a nature lover’s delight. 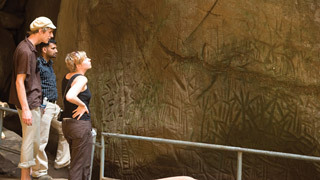 Janakikad has in store unexplored wilderness which begins with the ticket counter in the shape of termite mounds and the animal figures that etch the gates of Janakikad. The forest has a wide biodiversity of plants. You can enjoy a leafy stroll under the canopy in Janakikad and indulge yourself in bird watching and butterfly tracking. A variety of bird species like Horn Bills and Gray Jungle Fowls and butterflies inhabit the forest. Enthusiasts can observe birds and bird life from tree -top houses. Rafting facilities are also provided. 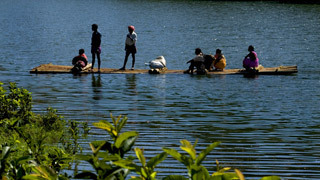 You can enjoy a dip in the cool waters of the Chavaramuzhi River, a tributary of Kuttiyadi which pats Janakikad. The ancient temple in the forest is yet another attraction. The trek through the forest, which is dense enough not to let the scorching summer rays penetrate and drain you of all your energy, is a wonderful experience with raw nature.